The sheriff’s office confirmed the woman found in a pool of blood across the street from Scoop and Mellow Mushroom on Colonial was murdered. 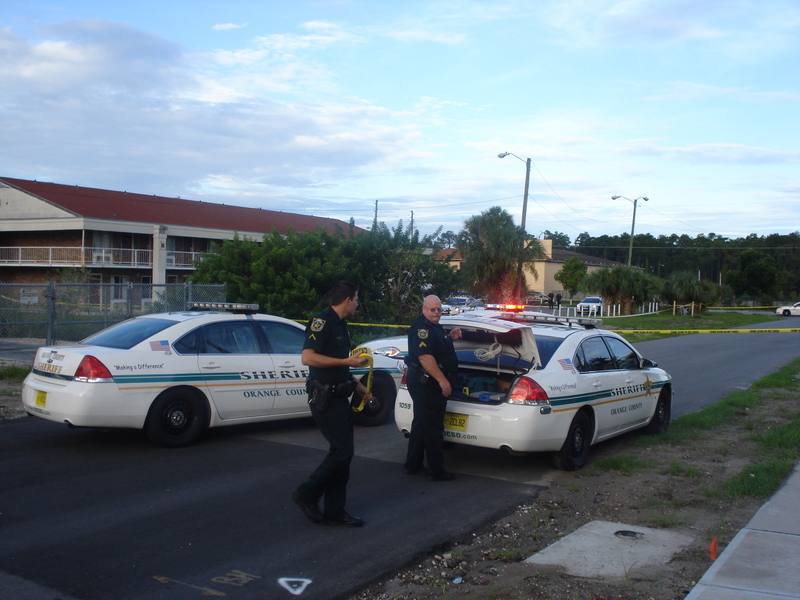 SEE SLIDESHOW OF CRIME SCENE BY CLICKING HERE. 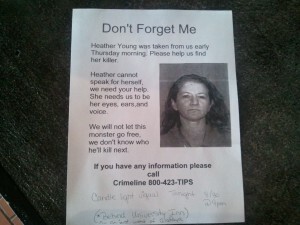 The sheriff’s office told KnightNews.com the victim’s name is Heather Young, born in 1969. 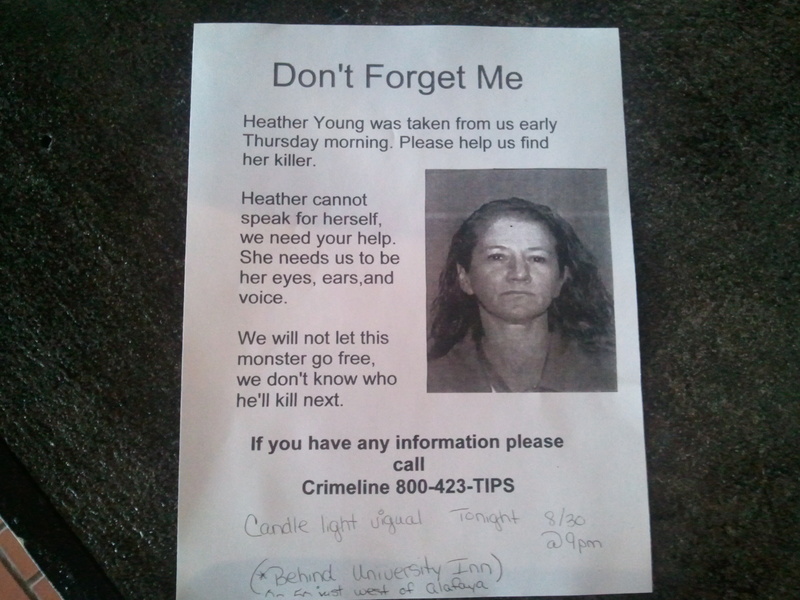 WFTV Channel 9 reported at 5 p.m. they were told the murder victim is a mother of a UCF student. Officials have not yet confirmed that, however. 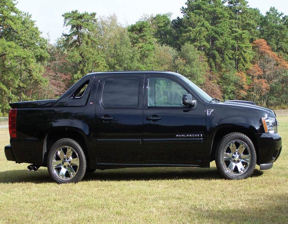 A dark colored Chevy Avalanche Pick up truck with shiny rims and dark tinted windows was seen in the area during the time of the murder. If you have any information, call 1-800-423-TIPS. Orange County sheriff’s deputies swarmed the University Inn on East Colonial Drive near Alafaya Trail, across the street from Scoop bar and behind Papa John’s Pizza, to investigate the death of someone on the hotel property Thursday morning, deputies on scene told KnightNews.com. (See map). Deputies wouldn’t release any other information, but employees of the Days Inn who work next to the University Inn told KnightNews.com they were told the victim may be a female in her 20s — and the scene was extremely gruesome. That employee suspected her death was a murder. Guests staying at the hotel told KnightNews.com this afternoon the woman was found “almost naked” lying in a parking spot at the hotel in a pool of blood. The guests said it appeared the woman was attacked so brutally, and there was so much blood, even her own son at first couldn’t identity the victim as his mother. In the afternoon, Fire officials washed away the blood from the parking lot as families — including children — staying at the hotel gathered their things to cancel their stay early. This death investigation playing out in a public place is the second to rock the UCF campus in less than one week. On Friday, a man was found dead in his car parked on campus. The cause of that death has not been released. 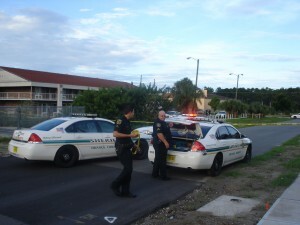 KnightNews.com was first on the scene and first media outlet in Orlando to break today’s death investigation. Since we broke the story, the Orlando Sentinel, and several other media outlets began investigating. According to a report from WFTV Channel 9 Eyewitness News at noon, a guest at the hotel found the woman lying in a pool of blood around 6 a.m. and called 911. 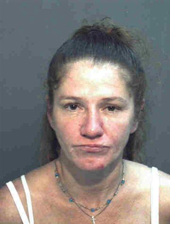 The hotel manager told WFTV he saw the woman lying in a pool of blood in the parking, and it was the most gruesome thing he’d ever seen. Like us to get news like this on your facebook feed, & possibly win an iPad! Footage from WKMG Local 6 showed the victim’s body being loaded into a vehicle to be hauled away from the scene this morning. 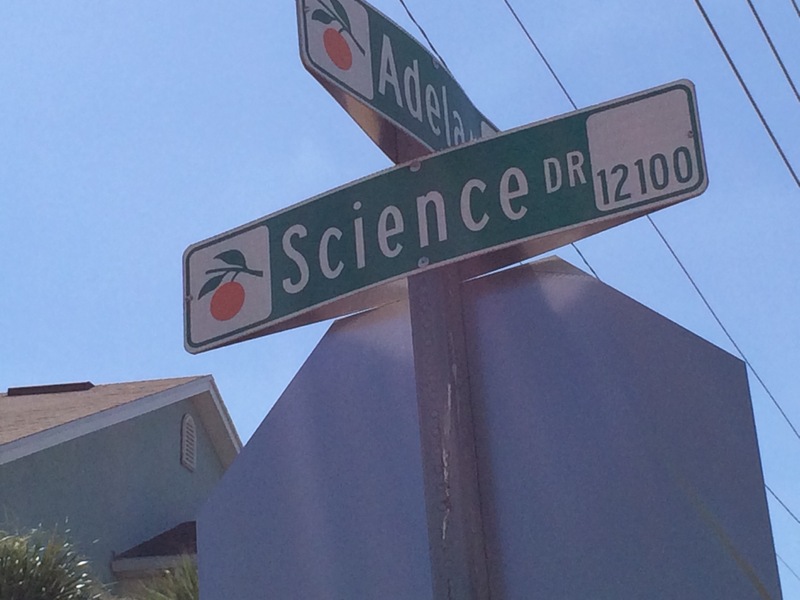 However, the crime scene remained at noon while officials continued investigating. KnightNews.com is returning to the scene to gather more information and will update you when we get it.